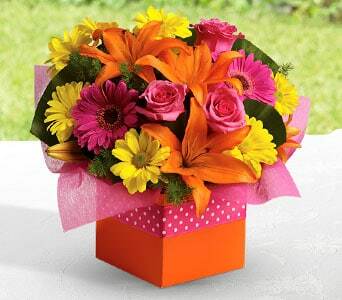 Outstanding in Orange, Bradley�s Florist invites you to paint the town red, and offers quick, same-day delivery to a variety of prominent locations, including cemeteries, hospitals, nursing homes, retirement villages, funeral homes, churches and places of religious worship, and medical centres. We deliver to a wide range of hospitals and medical centres in Orange and adjacent suburbs, notably Colour City Medical Practice, Dudley Private Hospital, Bathurst Base Hospital Daffodil Cottage, Orange Health Service, and St Vincent�s Private Hospital. Included among the retirement villages and nursing homes that we service are A Silver Troopers, Bathurst Gardens Retirement Village, Lee Hostel Committee, Weeroona Nursing Home, The Whiddon Group, and Principal Cherrywood Grove. In addition, we provide delivery to an array of local churches and places of worship, such as Mountain Hope Church, New Life City Church, West Orange Baptist Church, Orange Prayer House, and Orange Christian Assembly. 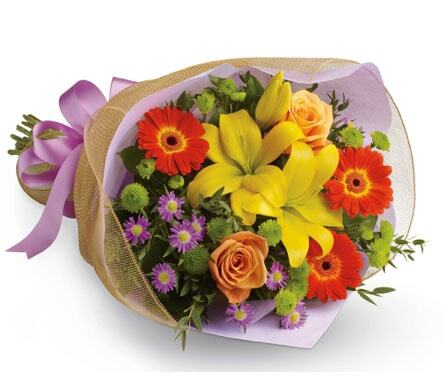 We also offer delivery to many cemeteries and funeral homes, among which are Keith Philpott Funeral Directors, Hobby�s Yard Cemetery, Classic Country Rose Funerals, Norman J Penhall Funerals, and Rookwood General Cemeteries Reserve Trust. 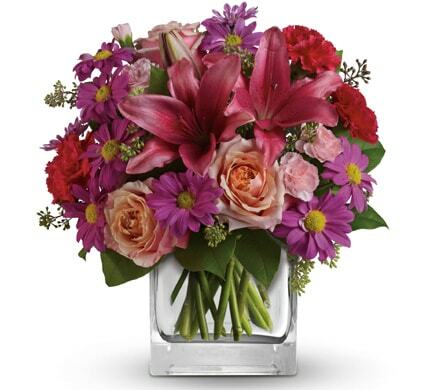 Bradley�s Florist is a timeless classic, giving you all the time in the world to appreciate our sensational stems, pristine petals, and brilliant bouquets. Make your next party or special occasion truly unforgettable, thanks to our energising �Thank You� arrangements, which are the gift that keeps on giving fun, giving laughter, and giving joy. 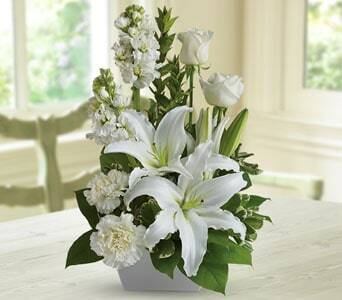 Your mother�s smile can light up the entire room, so �Make Mum Smile� today. 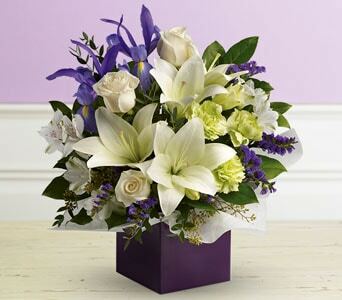 This lovely mixture of fragrant lavender blooms, breezy pink roses, lovely blue delphinium, and striking white lilies, which are complemented by fresh, leafy foliage, and housed in a tremendous purple bouquet, is sure to put a smile on her dial. Enter an �Enchanted Garden�, where magic is real, and love is in the air. 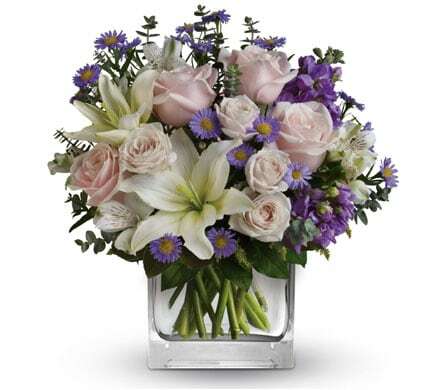 Invite your loved one to join you, and together you can marvel at perfect peach roses, incredible pink lilies, and dazzling purple daisies, which are accented by subtle hints of green, and housed in a sparkling glass flower cube. 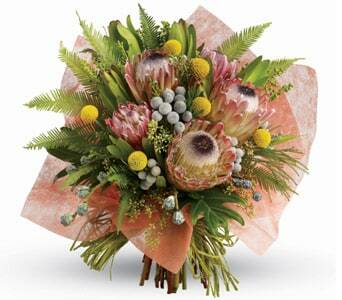 �Enchanted Garden� will make you believe in the enchanting power of sensational flowers. A charming city in the Central Western region of New South Wales, Orange is kaleidoscope of fabulous colours. Home to an estimated 40,000 people, Orange is named after the Prince of Orange. These days, Orange is filled with a variety of attractions, including the Spring Glade Walking Track, and Nangar National Park.